This is a tasty, easy, Italian/American pasta salad recipe. The spiral shaped pasta holds the flavor of the dressing in all those little rings. 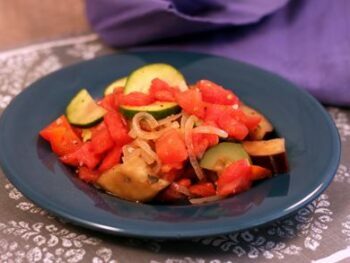 The dressing is loaded with zesty flavor that mixes perfectly with the vegetables. 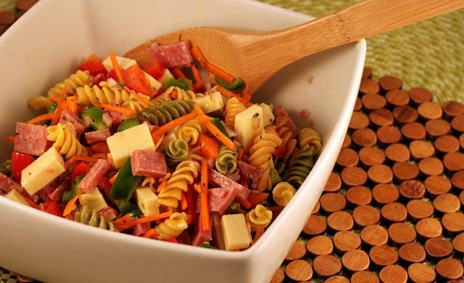 Sure to be a hit with any meal, this pasta salad is expecially perfect for picnics and barbecues. 1. Combine pasta, red pepper, green pepper, cheese, carrot, onion, olives and salami in a large bowl. 2. Thoroughly mix the olive oil, vinegar, salt, pepper, sugar, mustard and basil in a small bowl. 3. Pour dressing mixture over pasta. Toss to coat. 4. 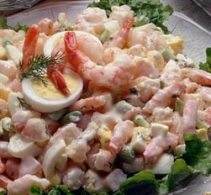 Cover and refrigerate at leat 3 hours before serving.